Copy/print/scan/fax up to 47 pages-per-minute with this speedy, full-featured desktop printer. Newly redesigned user interface makes scanning and faxing easier than ever. 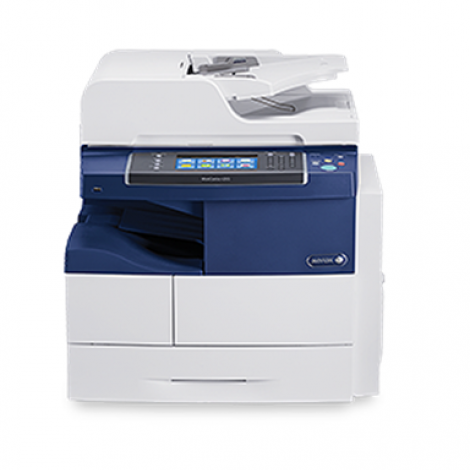 Print wirelessly from your smartphone with built-in Apple AirPrint and Mopria printing. With the optional wireless internet adapter, you can use connect the printer to your network without using any cables.